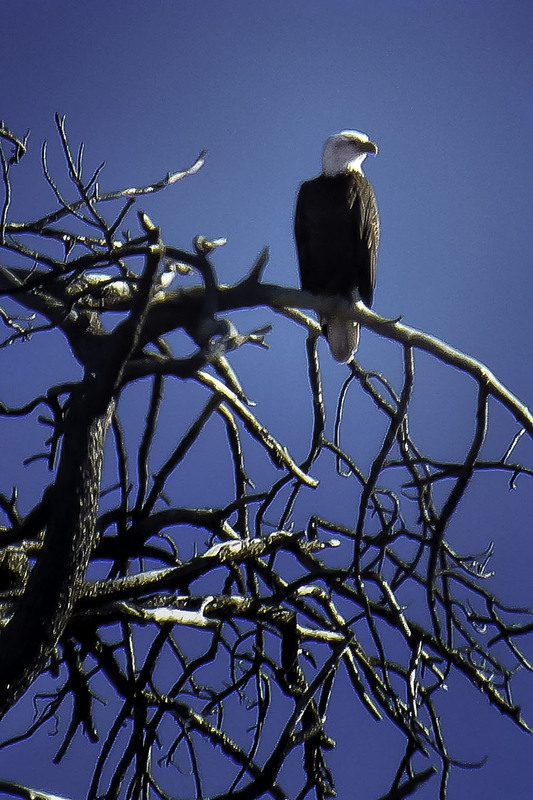 Speaking of birds… driving past Morman Lake, I spied this regal guy sitting on a branch watching the world go by. I actually didn’t have my big camera with me. I had my little point and shoot, Panasonic Lumix handy though. That’ll teach me to bring my big camera along, so I don’t miss any such opportunities. I love birds of all kinds. I hope we get to see an eagle on our nest visit….